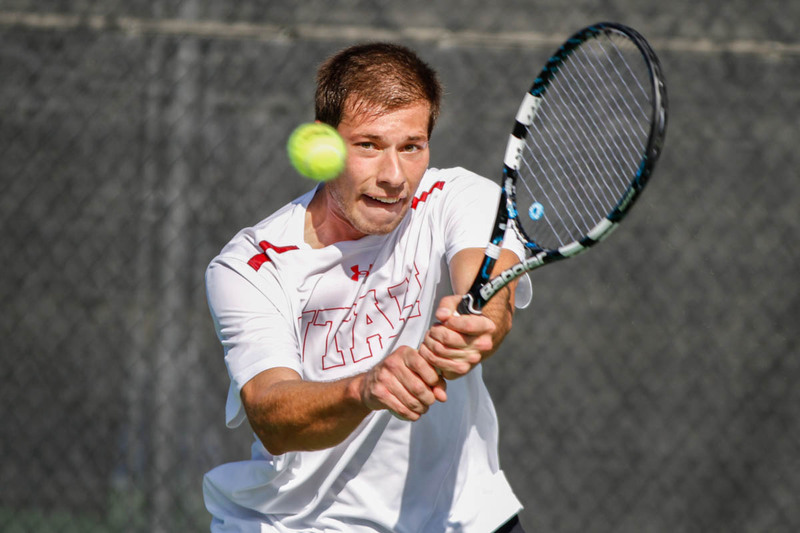 The University of Utah men’s tennis team (9-2) returned to the ITA National Rankings this week after a 5-2 win over rival BYU. The Utes are ranked No. 51 in the first ITA computer rankings of the year. Junior Slim Hamza is ranked No. 110 in singles. Senior Ben Tasevac was named the Pac-12 Player of the Week. Tasevac won the match clinching point against BYU and is now 7-2 on the season. Utah will rest this weekend before heading to Lincoln, Neb., to face No. 50 Nebraska and N0. 65 Drake on March 7 and 8. This entry was posted in PAC-12 / NCAA News and tagged Alejandro Medinilla, Ben Tasevac, Cedric Willems, Devin Lane, Drake, Matt Cowley, Nebraska, Pac-12 Player of the Week, rankings, Roeland Brateanu, Slim Hamza, Utah Tennis. Bookmark the permalink.